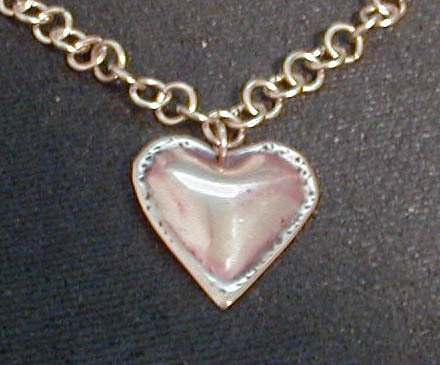 This pendant i made for a friend on valentines day. 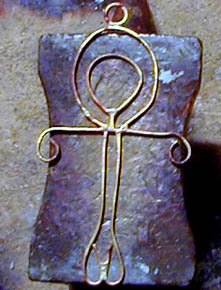 It is made using a hydrolic press, and then it is soldered onto a backing. 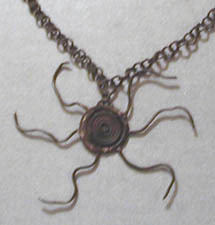 This pendant was completely made of wire. 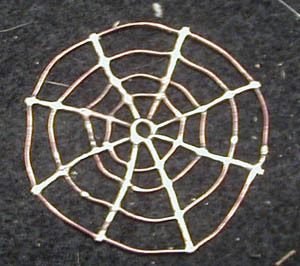 Tiny pieces of wire were soldered together to get the pendant. 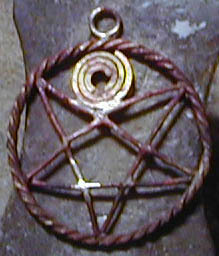 A wire pendant using bronze except for the swirl and border. 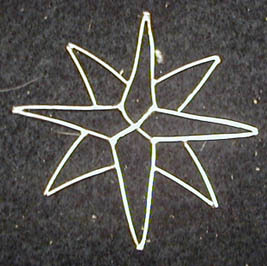 A wire pendant out of sterling silver. 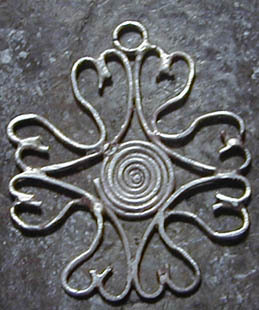 Made out of sterling and brass. 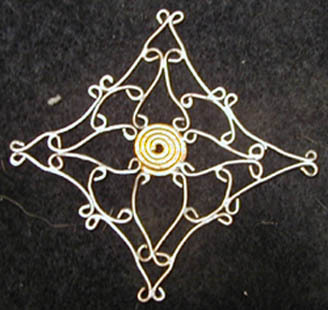 Made out of brass and copper. Made out of mild steel, which was brazed together. 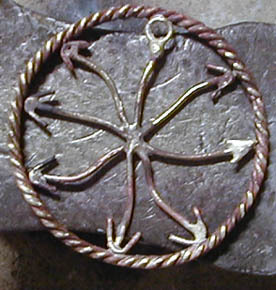 Made out of nickel silver and bronze. The centerpiece is an enameling set like you'd set a stone. 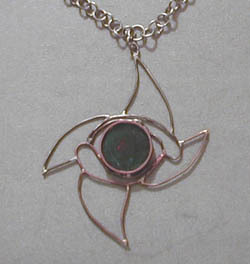 You cant see the design real well, but its green, red, blue and black swirled together.